Keep it simple and sophisticated with this elegant pair of 18ct gold ball stud earrings, perfect for everyday wear. Size 4mm. 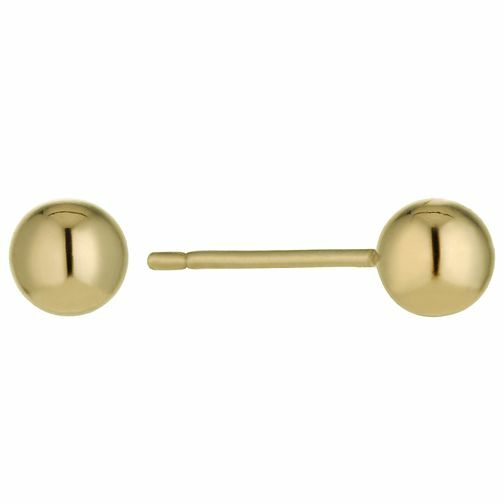 18ct gold 4mm ball stud earrings is rated 4.0 out of 5 by 3. Rated 3 out of 5 by Anonymous from Not up to the usual standard Sadly this product has not been to the standard of the other items we have purchased. On the first time of wearing these earrings, as we were leaving the house, my wife discovered that one of the butterflies had fallen out and was lost. Upon further examination, we realised that the other butterfly was loose . Unfortunately, my wife is now unable to wear these earrings.